Prague–Bubny railway station is a former railyard and current brownfield site located in the arts district of Prague 7-Holesovice. Today it serves a few local trains and has very limited passenger facilities. However, at over 27 hectares, it is one of the largest brownfields and stations in Prague by area. The site is not currently served directly by any other public transit, but it is 5-minutes walking distance from the tram system and 10 minutes from Vltavska metro station. It is also located within a 5-minute walk to the Holesovice train station. It is owned by a Prague-based investor and developer, CPI. After dozens of land use and architectural studies, development of the land is currently being disputed by the local Prague-7 city council and the City of Prague at large. There is currently a moratorium on all construction with no path to development in site. Martin Joseph Barry — King Charles IV’s birth marked a century of progress in urban development particularly with his vision for New Town. Today, we stand at the gateway to the future city. Nearly 700 years later, Prague’s politicians, adept at pulling the brakes on the train of urban progress, now have an opportunity to release the brakes. Not only can they release them, they can accelerate into the future. In 32 years we will mark the 700th anniversary of New Town, Charles’ most visionary urban accomplishment founded in 1348. There is no better time than now to set the course for a new, New Town. Bubny in Prague 7, a 27-hectare brownfield site in Holesovice is where it should be. In this article, I will outline a plan for the newly formed Prague City Council to implement and build it over the next ten years. I cannot imagine that they will find any more important, or inspiring task. Since 2006, the landowner and developer (now CPI ORCO) have produced dozens of studies for the development of a mixed-use neighborhood on the site, which has a development moratorium in place. Still, nothing exists at Bubny but weeds and trash. After pleas from politicians and activists alike in September 2015, CPI tragically demolished the historic buildings on the rail yard, likely to prompt a stronger negotiating position with the City. The adverse occurred, and rightly so. Soon after, the City of Prague ceased negotiations. CPI’s actions give the City a clear mandate to change course. After dozens the architectural studies, and considering CPI’s aggressive move to demolish buildings it is clear that the local developer is not savvy enough to develop such an important site in a major European city. There are few developers who would be capable of such a task. It has also been painfully clear that the City of Prague has struggled to get what they need relative to neighborhood morphology and character, or infrastructure. This is not uncommon in cities around the world. Municipal leaders are not always knowledgable about the best practices in urbanism. In Prague, the leadership has not known what questions to ask, nor what concessions to give in order to get a deal that favors the long term sustainability of the development. With significant financial losses now, the developer will not find a way to finance and fund a good project. It is time to completely change the strategy. Under pressure from the private sector, Prague’s politicians are now hurrying to remove the moratorium. They should not. Let me repeat that — the City of Prague should not remove the moratorium. They should leave it in place and use it as leverage to buy back all 27 hectares of land from the various investors. That’s right; purchase every single hectare, Mrs. Krnacova, and do not stop until 100% is owned by the City. Using examples from abroad, the City should establish a land development corporation to find and implement a long-term vision. This corporation should operate as a master developer, primarily building the public realm. Once the public space and infrastructure is built, they can sell individual building plots back to private developers at market rates, arguably at gain. There is no other way forward. Referencing successful precedents from abroad prove that it could be a successful investment for the City. First, City Council should begin the hard work of negotiating a fair value for the land. They have leverage to establish the terms since the moratorium is still in place. 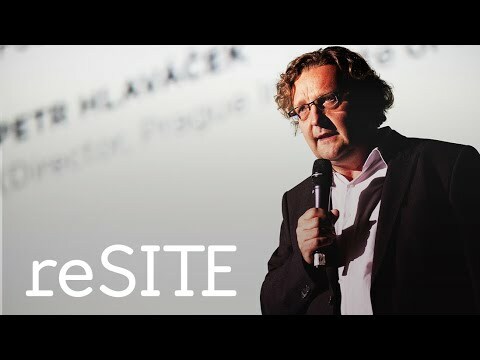 Simultaneously, they need to establish a development corporation led by an international candidate with no connections to the building or development industry in the Czech Republic, in order to remain independent and uncorrupted. The group could be named Bubny Municipal Land Corporation (BMLC). The BMLC should be primarily financed by City Council. They can generate capital required for the land in the European Investment Bank, who is actively seeking innovative public-private partnership deals already. With billions of latent capital on the market and interest rates close to zero, the City has no reason not to borrow against future revenues, if needed. This kind of land acquisition and setting up a corporation in a functional city should take 18–24 months. Once the land is in contract, BMLC should issue a tender for a master plan. We don’t need a competition; we need an international request for qualifications to identify 5 of the world’s best master planning firms. We do not need an architect, yet. We need a consortium of firms ideally led by an urban planner (this is not an architect) or experienced landscape architect who collaborates with real estate analysts, economists, architects, transport and related engineers, ecologists, tech urbanists, branding and marketing specialists to produce a 21st century master plan based on a new mix of human centered, green and smart city design. And, the plan needs to quantity the economic impact on the city at large. Bubny can be a model for the world. Let’s make it so. If the new New Town is to be a coherent and livable neighborhood, the master plan should be accompanied by urban design and architectural guidelines for the public and private realm. The master plan and design guidelines phase should take another 18 months, maximum. Once the master plan is complete and guidelines published, BMLC should build an innovative sales center on the site. They should market and sell individual land parcels, just as a private sector developer would do. Simultaneously, BMLC should use the plan to develop individual tenders or competitions for major public buildings, infrastructure, parks and public space. BMLC, with an experienced team, should manage the brownfield cleanup and construction of these public aspects including major public buildings. Depending on the scale, this phase should be complete in no more than five years. In a stable market, once the roads, parks, public spaces and public infrastructure are built the land values should continue to rise as parcels are sold to individual investors. Within ten years, there is no reason why a majority of the land parcels would not be sold, hopefully under construction or already complete. How did I come up with this plan and know that the timeline and opportunities are reasonable? Because I just spent 4 years working on a project in Calgary, Canada (pop. 1.4 mln) that has nearly the same spatial and environmental challenges, run by a municipal development corporation. And, I have worked on similar innovative projects in New York for the NYC Economic Development Corporation. In 2005 (just before ORCO bought Bubny in Prague), Calgary took a different path. The Mayor of Calgary, urban planners and the public came up with a plan to revitalize a 20-hectare brownfield called the “Rivers District” directly adjacent to the city center. Bisected by rail yards with a river on 3 sides, the site is remarkably similar to Bubny. Two years later, city council created the Calgary Municipal Land Corporation (CMLC). Since that time, progress has been rapid. In 10 years, the city has invested €242 million in public parks, roads and infrastructure. In the same period, CMLC has raised over €2.7 billion in private investment for parcels. They have also raised over €493 million through an innovative Community Revitalization Levy to invest in public infrastructure. This tax increment finance mechanism is widely used in the United States, however we will need to study how it might be used effectively in Europe, or whether a bond can be created. The City should hire an international economic advisory to do this work, in addition to studying the public-private partnership options available to them for specific projects. CMLC is a very efficient organization. They have 18 staff (1/3 Projects, 1/3 Marketing, 1/3 Admin/Finance) in every discipline from analysts, architects and engineers to Canada’s best event managers. They have a 7 member Board of Directors responsible for governance, primarily from the private sector, all appointed by City Council. There is only 1 shareholder and that is the City of Calgary. They have four streams of revenue: tax increment financing for the Rivers District; parking revenue; lease space, and project management fees for major buildings whom partners would like them to manage. Michael Brown, CEO of CMLC says “ there is a recognition by civic leaders throughout North America that corporations like CMLC are the most effective vehicle to transition brownfield sites that are essentially liabilities into jewels that attract private investment and engage the citizenry. CMLC has been asked to share our experience in Calgary with many cities,. I believe that Prague has many sites that would benefit from this type of intervention.” Brown has presented at a reSITE / IPR Bubny workshop in 2015. In 2016, the overwhelming majority of the public infrastructure, parks and roads in the Calgary Rivers District have been built. 99% of the parcels have been sold and CMLC has been granted a wider mandate to redevelop other major sites in the city. If you doubt this will work, I can identify dozens of other successful examples in North America, Asia and Europe. For those who have read my articles about urban development in the past, it might come as a surprise that I advocate to block a private developer’s action. In the contemporary economy, I firmly believe that the private sector is essential to help develop the things I care about: public space, transit and public architecture. However, there is now no other solution for Bubny. The development environment is toxic. We need new ideas and progressive solutions that can provide a win-win for the public, private and civic sector. In cities with stable political coalitions, the Mayor could lead this process and develop consensus to get it done. In this city, Mayor Krnacova, Deputy Mayor Kolinska and Deputy Mayor Dolinek could all gain from backing this plan. Prague’s new master builders. However, Prague, unfortunately, does not have stable politics and as a Deloitte real estate survey recently showed, there is low confidence that politicians have the stability, vision and will to lead development efforts like this. To develop such a major project efficiently here, we need a modern-day Charles IV; an urban visionary capable of building consensus and support across sectors. The political reward will be great if done transparently and well. This particular project could increase competitiveness of the Czech Republic for generations, something all councilors and particularly those in Prague 7 might consider. For those councilors, this could be the time to transform into urban visionaries — if not in the mold of Charles IV, at least comparable to French post-war presidents, or London, Paris and New York’s 21st century luminary mayors. There has not been a better time to start this project than now. It is incredibly relevant in the context of what my organization has been studying and talking about for over four years. We would love to see physical impact and long term thinking. On June 16–17 at Forum Karlin in Prague, we hosted our fifth-annual conference and festival about sustainable urban development. This year, 49 international experts from 20 countries presented and discuss architecture and urban migration — the design and planning that has been successful in attracting new and diverse residents to global cities. The event was covered by over 70 local and foreign journalists and left us all with great ideas for developing the city we want in the future. If Prague will continue to compete in the next century, a development project like Bubny is not only important in attracting new residents, it is vital. 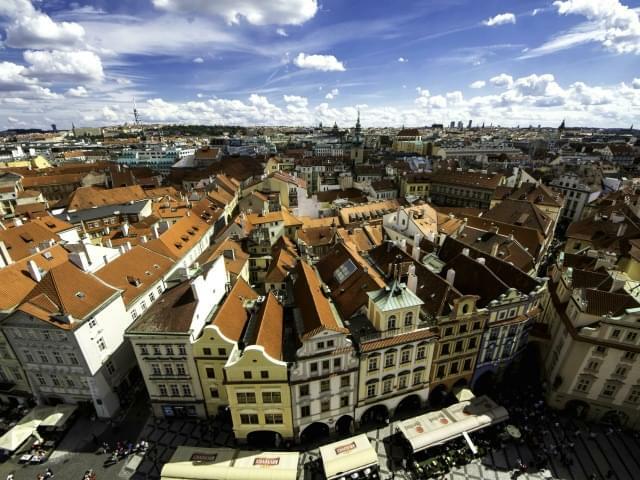 In 30 years on the 700th anniversary of the founding of New Town we could be celebrating the construction of a remarkable 21st century city in the heart of Prague. No one will remember government and municipal efforts to clean-up government and raise tax revenue; an uninspiring and mundane vision however difficult it might be. No one will ever forget the leaders responsible for creating a new district in the heart of one of Europe’s most beautiful and historically important cities. This could be a model for the developed world. 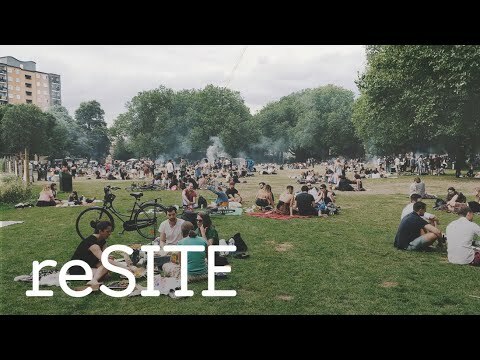 A discussion on the topic of inclusive design at reSITE 2016. Opening Address by Petr Hlaváček, Director of Prague Institute of Planning and Development. 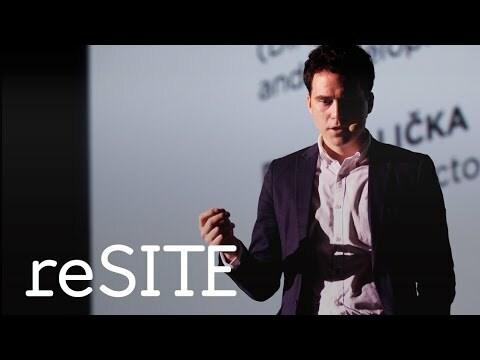 Opening Address of reSITE 2016 Conference by IPR Communications Director Adam Švejda.